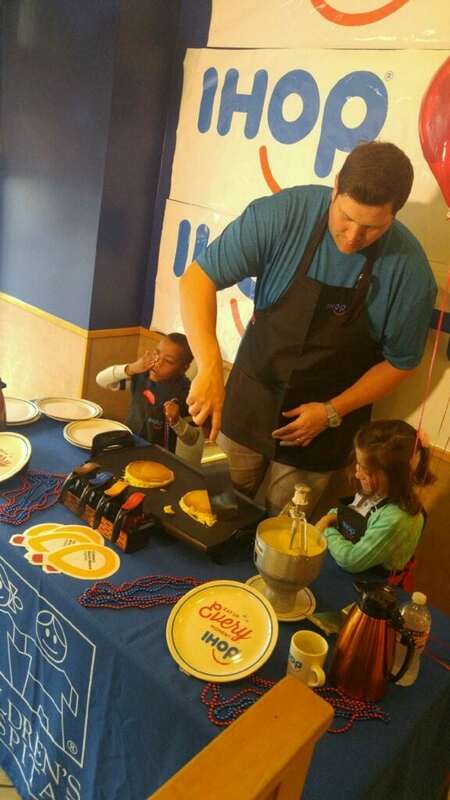 New Orleans Saints right tackle Zach Strief supported National Pancake Day at IHOP as he helped to show his support for Children’s Miracle Network Hospitals and Children’s Hospital New Orleans by serving pancakes at the Canal Street location. 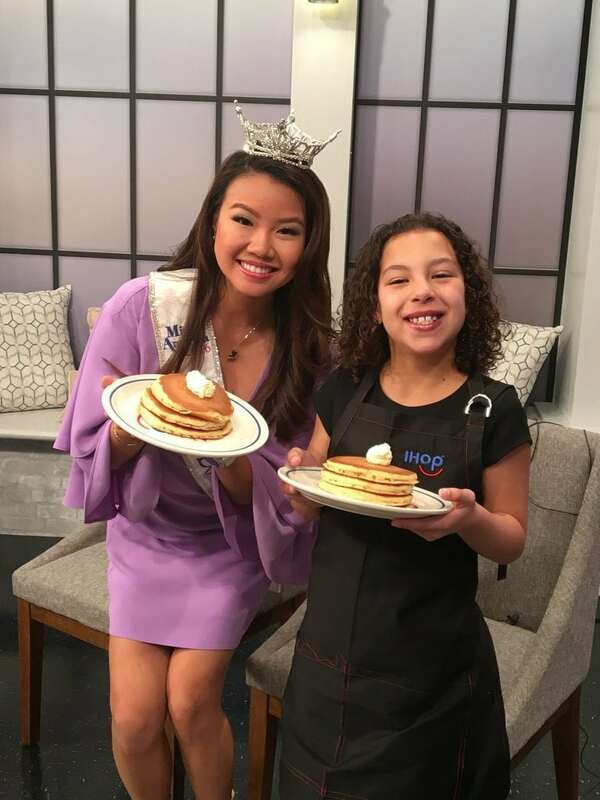 Miss Louisiana Justine Ker, joined Louisiana Champion child, Sophia Liriano as they stopped by the local CBS affiliate, WWL, to share about National Pancake Day and Children’s Miracle Network Hospitals. Previous post: IHOP Pancake day raising money for the kids!